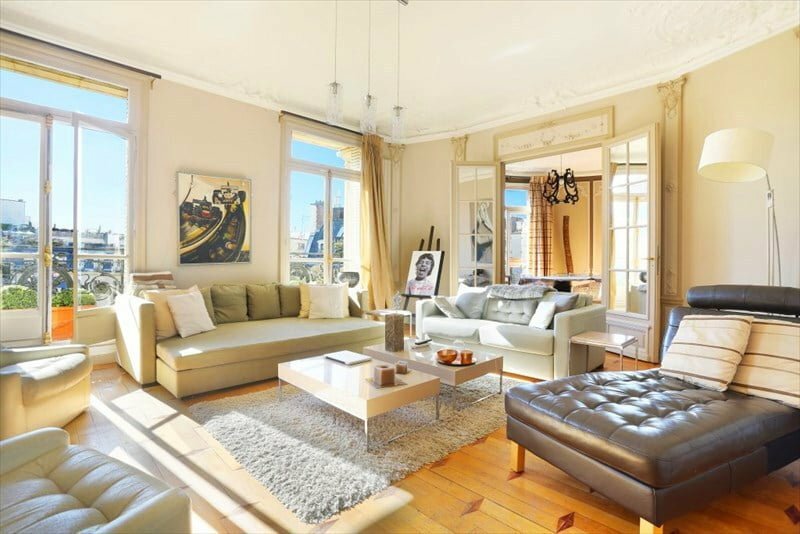 This wonderful apartment in Paris, Victor Hugo Avenue is the perfect example of the turn of the century decor and how it persists in the modern Parisian home style. 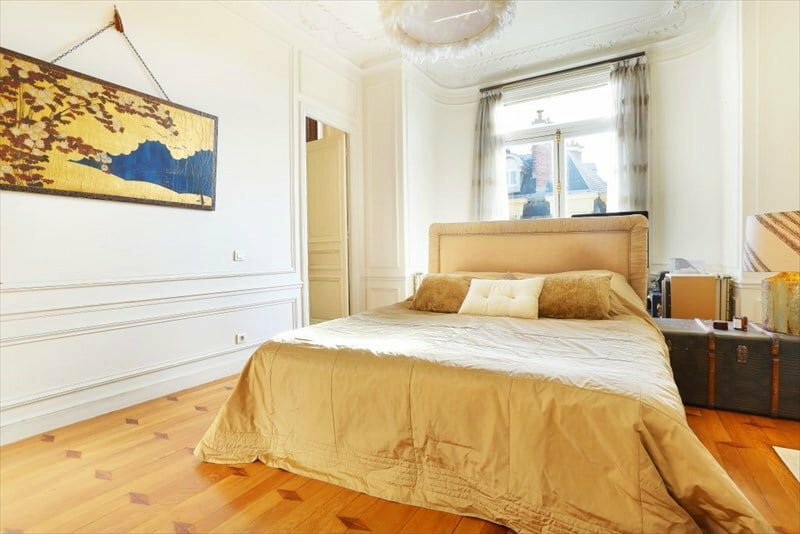 The first thing you’ll notice in this apartment is the ceiling and walls design which is authentic to the beginning of the 20th century. 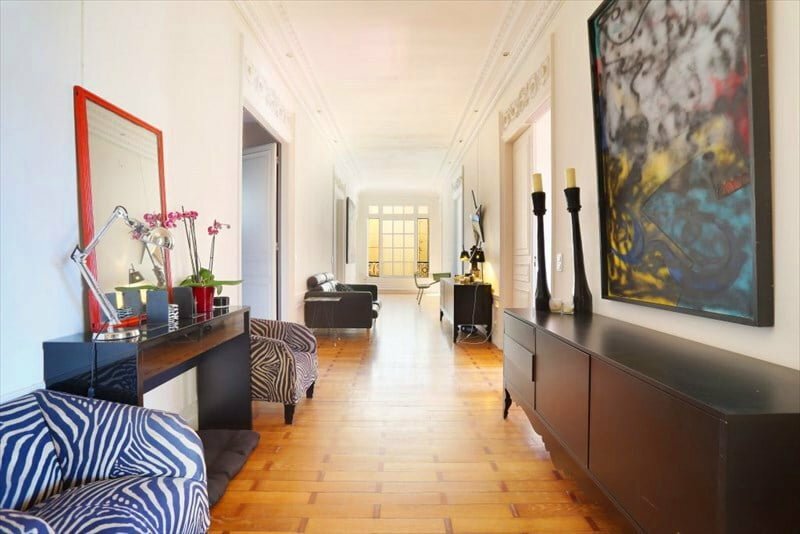 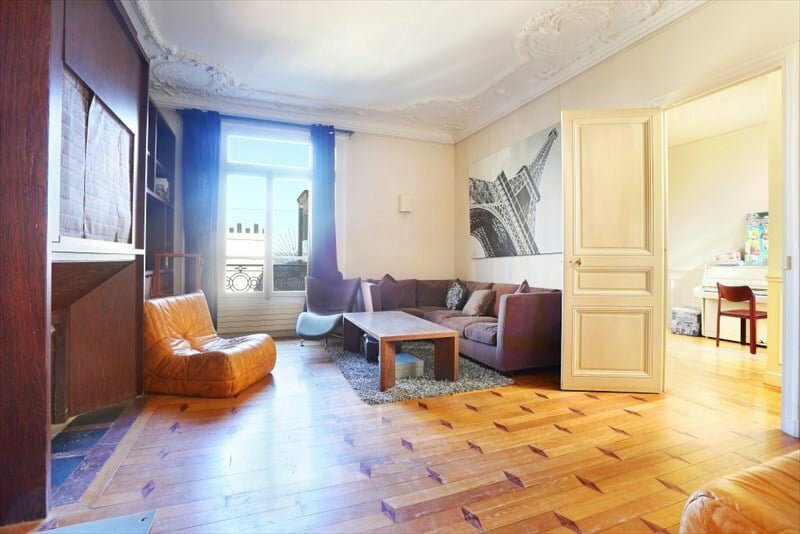 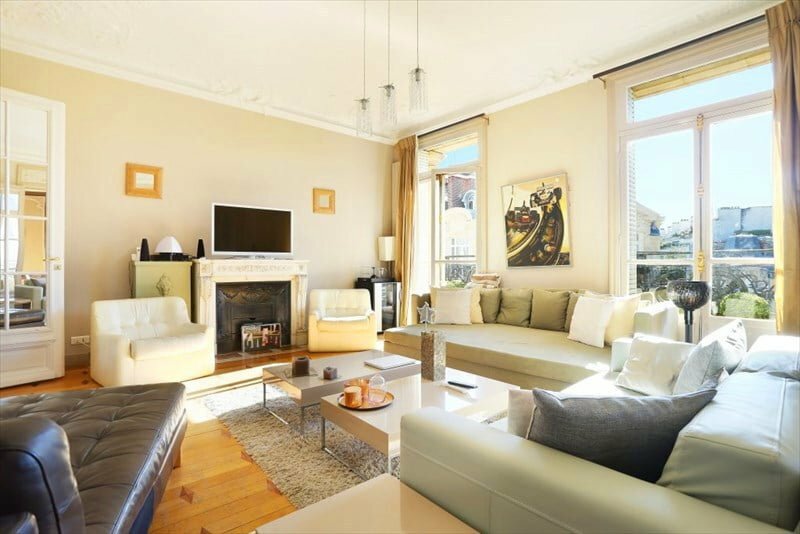 Big ceiling to wall windows and big glass doors are typical Parisian style. 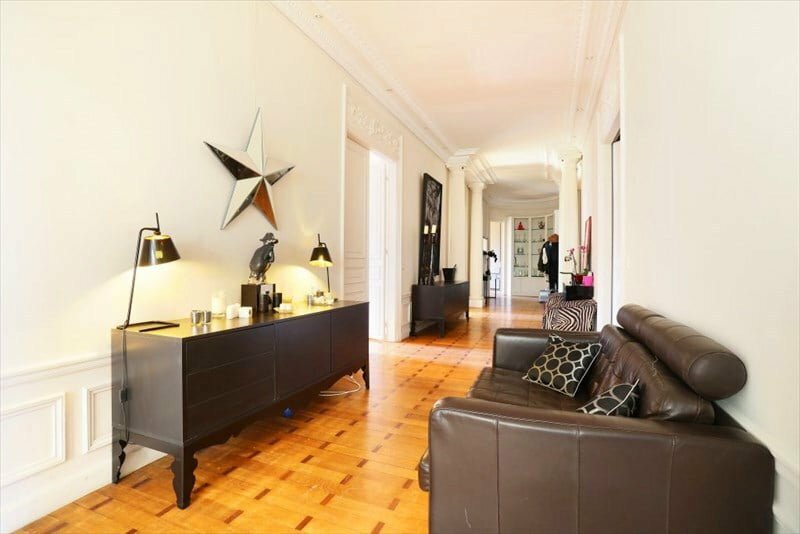 The moldings, parquet flooring, fireplace design take you back the the last century, and at the same you are met with the comfort of the modern furniture which creates a beautiful contrast. 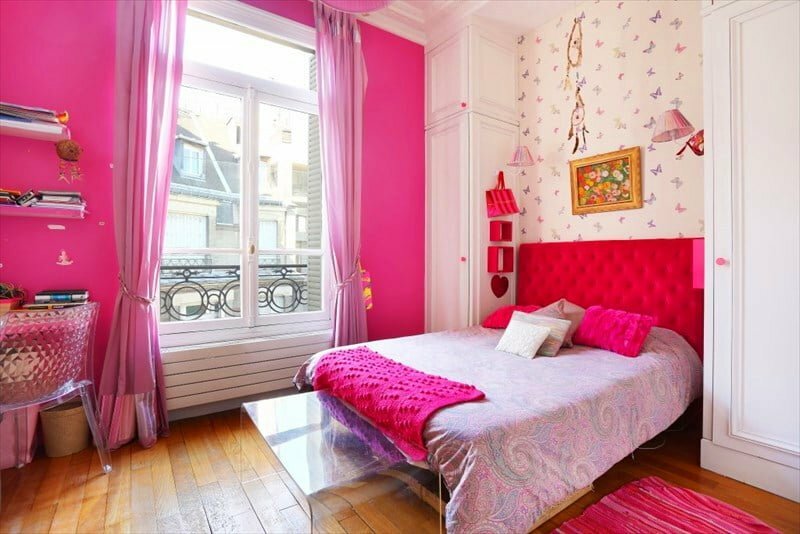 The bedroom isn’t huge but you would recognize the Parisian style even if you took this picture out of the context. 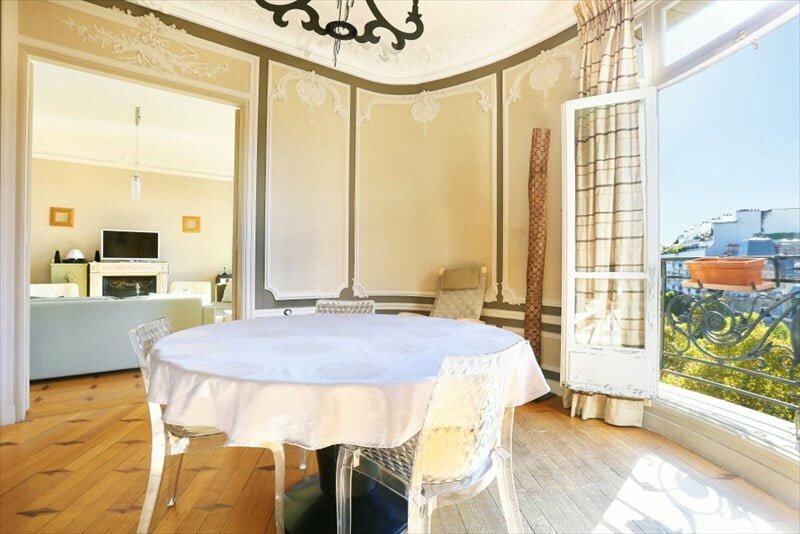 A big round and spacious dining room with big windows and doorways as well as truly beautiful authentic wall design. 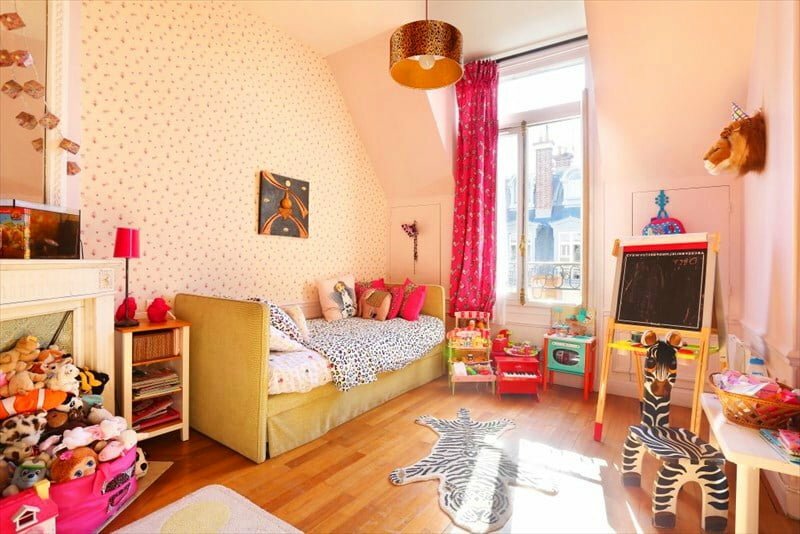 The apartment has two kids rooms which are decorated with vibrant pink and purple colors.